FC Barcelona will be taking 21 players to London for Tuesday night’s first leg of the UEFA Champions League round of 16 versus Chelsea at Stamford Bridge, manager Ernesto Valverde announced on Sunday. All 20 first team players available will be making the trip, plus Barça B goalkeeper Adrià Ortolá. Philippe Coutinho will not be going because, having already played in the Champions League this season for Liverpool, he is ineligible to appear for Barça in the tournament. Fullback Nelson Semedo is suspended for yellow card accumulation. Thomas Vermaelen, however, has been declared fit and gets the green light. 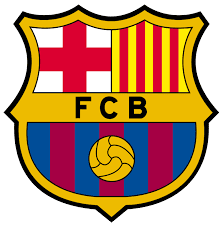 Here is the full list: Ter Stegen, Cillessen, Ortolá, Piqué, Rakitic, Sergio, Denis Suárez, Iniesta, Suárez, Messi, Dembélé, Paulinho, Paco Alcácer, Jordi Alba, Digne, Sergi Roberto, André Gomes, Aleix Vidal, Umtiti, Yerry Mina, Vermaelen. Sunday’s final workout before trip Barça trained on Sunday morning in the team’s last session before Monday’s 8.00pm CET workout on the field at Stamford Bridge, the first 15 minutes of which will be carried live on facebook.com/FCBarcelona and on BarçaVideo. The team will fly to London on Monday morning. Before the session at Stamford Bridge, Valverde and midfielder Ivan Rakitic will appear before the media.